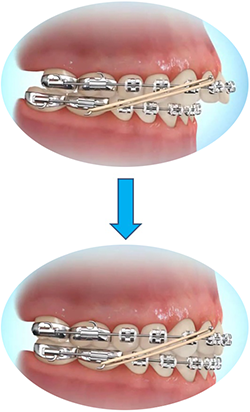 Wearing rubber bands is a critical part of your Orthodontic treatment. If it wasn’t, the doctor would not be asking you to wear them 24 hours of the day. Listed below are a few major reasons you need to wear your bands. What is the purpose of rubber bands? Rubber bands are used for people who generally have an over or under bite that needs correcting in order for the bite to fit together well. If you are not wearing your bands well this could potentially extend your treatment time. Will wearing rubber bands hurt? Starting your rubber bands will be a new adjustment for your teeth and jaw. You may become a bit sore for a few days but if you take them off to “give your mouth a break,” this may just continue the discomfort. Remember the more you wear them the more you will get use to them. How often should you need to wear them? You need to wear your rubber bands 24/7 unless instructed differently by the doctor. The only reasons you should be taking the rubber bands out is to eat if you are unable to eat with them on, brushing and flossing your teeth and putting a new set on. If you lose your bands it’s no problem! All you need to do is come into the office immediately for a new pack. The longer you go without them, the longer you will be in treatment for. Make sure you are using the correct bands. Borrowing a friends or improvising with your own could negatively hurt treatment if they are not the correct set. If you have any further questions regarding your bands please do not hesitate to talk to the doctor or staff about your treatment. This is a team effort, we will do our part to make sure you have a perfect bite, beautiful smile and are happy with the outcome of your treatment. All we need you to do is wear your rubber bands!